Flipp is available to download for FREE in the App Store and at Google Play. 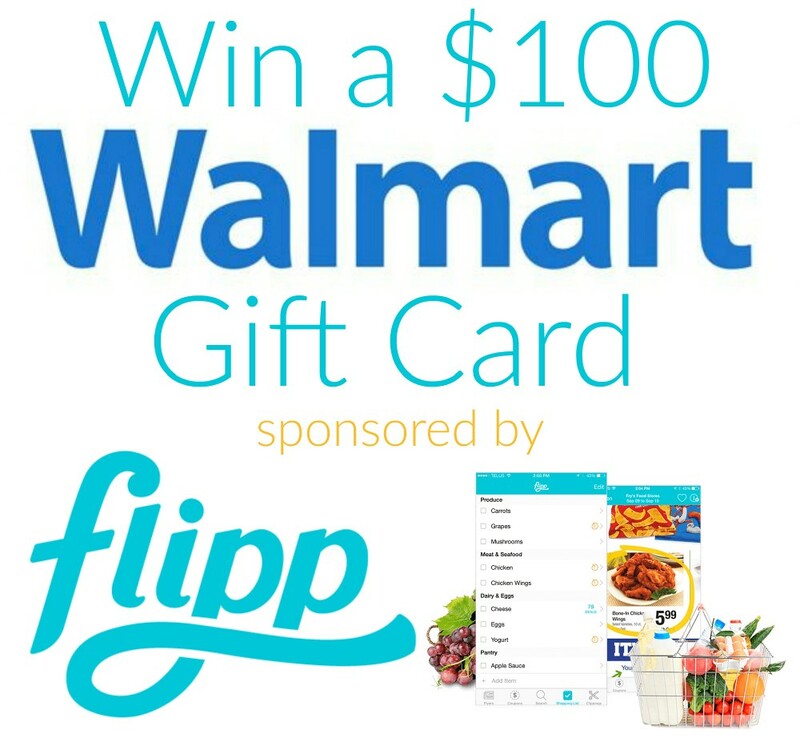 I'm teaming up with Thrifty Nifty Mommy and a few other bloggers to offer you a chance at a $100 Walmart gift card so you can complete your back to school shopping using Flipp. If you'd like a chance to win, just enter using the Giveaway Tools entry form below. Good luck! Disclosures: This giveaway is not associated with Facebook, Pinterest, Twitter, Instagram, or YouTube. Flipp is responsible for prize fulfillment. This giveaway is open to residents of the US who are 18 years of age and older. Void where prohibited. A random will will be chosen from all eligible entries received and emailed by Thrifty Nifty Mommy at the conclusion of the giveaway. Entrants will have 48 hours to respond to the email or a new winner will be drawn. What will you buy if you win this amazing gift card!? I love the Nook highchair! Thanks! I love using Flipp. It shows me what I want to get and where it is at. Even some of the smaller stores in my area are listed. I didn't realize that Flipp has coupons! I've only been using it for browsing the weekly ads / circling deals.